In the Twentieth and Twenty-First Centuries, notions of farewell and retirement in the Performing Arts have become increasingly farcical. The invaluable lesson of an important artist like Dame Janet Baker bidding the stage adieu whilst still at the height of her abilities is seldom heeded. Rather, stages groan beneath the dead weight of egos too bloated to appreciate that their legacies are better served by memories of great performances than by careers prolonged by performances that the most forgiving admirers prefer to forget. After the completion and première of Aida in 1871, Giuseppe Verdi felt that the time for his final bow had come, his three decades of prominence in the repertories of Europe’s opera houses having advanced the evolution of Italian opera as markedly as Monteverdi’s work had done two centuries earlier. Aida was the work of an artist still in command of the finest of his faculties, but Verdi justifiably felt that he had earned a quiet retirement. Keen to avoid overstaying his welcome in the world’s opera houses, the composer retreated to the relative peace of his villa near Le Roncole, the town of his birth. Like the green-eyed monster that prowls in the play’s drama, it was into the idyllic environment of Verdi’s self-imposed artistic exile that William Shakespeare’s Othello soon intruded, the treachery in this instance not Iago’s but that of publisher Giulio Ricordi and composer and librettist Arrigo Boito. Perhaps fittingly for a Shakespearean subject, the course of the gestation of Verdi’s and Boito’s Otello was anything but smooth. Verdi’s history with Boito was complicated, the latter having been allied with a cabal that, in supporting the composer and conductor Franco Faccio, who later conducted the first productions of the revised Simon Boccanegra, the Milan adaptation of Don Carlos, and Otello, mocked and criticized Verdi as an exemplar of an operatic ancien régime. 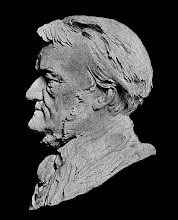 The alleged-to-be-passé composer was sufficiently pleased with Boito’s work on the revision of the Simon Boccanegra libretto, likely undertaken at least in part as a gauge of Verdi’s capacity for magnanimity, to overlook the affront to his artistic integrity, and, clandestinely securing the assistance of Verdi’s wife, Ricordi managed over a period of several years to slowly and diplomatically steer the non-committal composer’s interest towards a setting of Othello with Boito as librettist. Adamant that, like Rossini in the decades of his life following the completion of Guillaume Tell, he was content to observe rather than participate in the mayhem of opera, Verdi worked intermittently on his score for Otello, periods of prolonged inactivity alternating with bouts of creative concentration. The work that emerged from these toils proved to be worth the wait: receiving its world première at Milan’s Teatro alla Scala on 5 February 1887, Otello was immediately and almost universally acclaimed as a triumph for both Verdi and Boito. 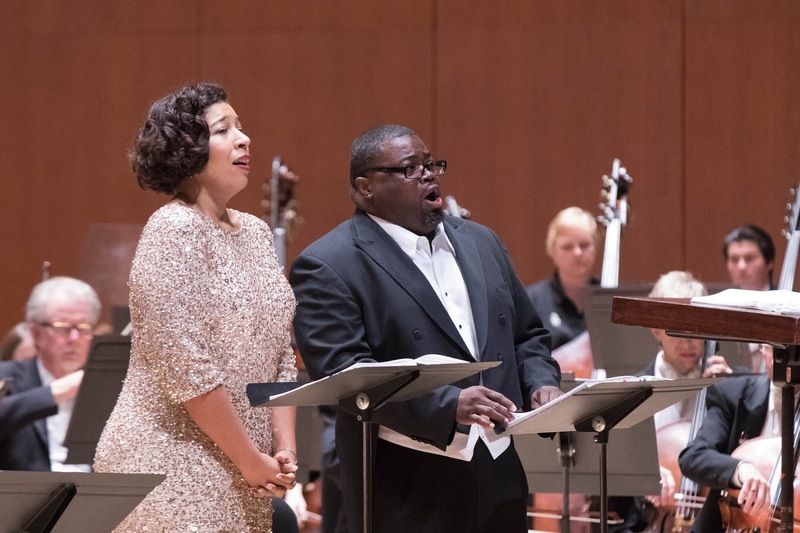 130 years after the opera’s first performance, Otello retains still-astonishing musical modernity and dramatic credibility, qualities that exploded from the stage in Atlanta Symphony Orchestra’s concert performance of the opera. This traversal of the score gloriously elucidated the perceptiveness with which Verdi explored the appalling ugliness of humanity via music of timeless, time-halting beauty. 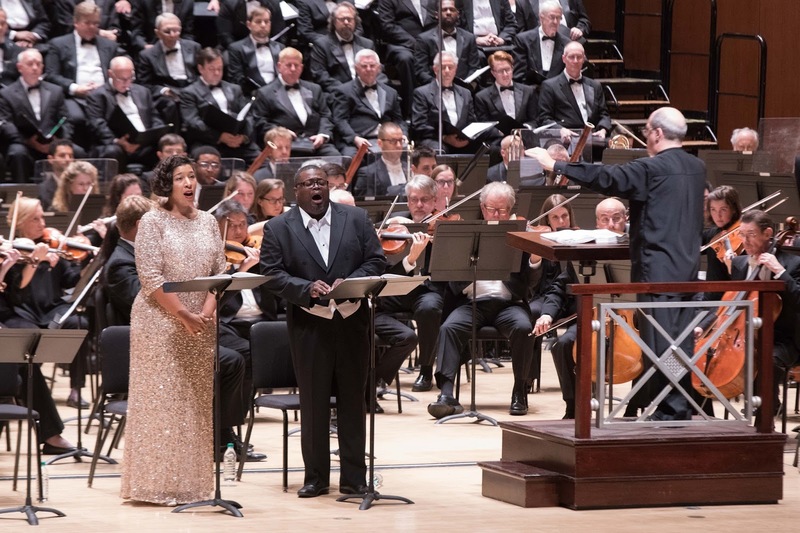 Scored for an orchestra of near-Wagnerian proportions, Otello makes grueling demands on every instrument included in its orchestrations—demands that were met in this performance with exceptional precision and fervor by the Atlanta Symphony musicians. From the first bars of the opera’s frenetic Allegro agitato opening, the ASO instrumentalists were involved in the performance in a way that opera house pit orchestras rarely are, the sea of musicians standing in for the tempestuous waters that imperil Otello’s vessel in the opera’s first scene. Ranging from diaphanous to demonstratively virtuosic, Verdi’s string writing was realized with accuracy and ardor by the ASO strings, with the cellists playing with special mastery, and the brasses, woodwinds, and percussion lifted their parts off of the pages of the score, bringing the music to life as characters in rather than accompaniment to the drama. Giving voice to the populace who witness the fatal trajectory of Otello’s jealousy, the ASO choristers sang robustly under the direction of Norman Mackenzie, not least in the cacophonous Uragano that begins Act One and the Cypriots’ terrified monitoring of the storm. In this performance, the cries of ‘È salvo!’ wielded a cathartic impact similar to the penetration of newly-created light into the chaos of the first movement of Haydn’s Die Schöpfung. ‘Si calma la bufera’ and ‘Fuoco di gioia!’ were delivered with gusto, and, in more jovial mood, the choir’s singing of ‘Bevi, bevi con me’ crackled with excitement. In Act Two, the ladies began ‘Dove guardi splendono raggi’ with sweetness perpetuated by the choir’s voicing of ‘T’offriamo il giglio soave stel,’ and the boundless energy of the exclamations of ‘Viva! 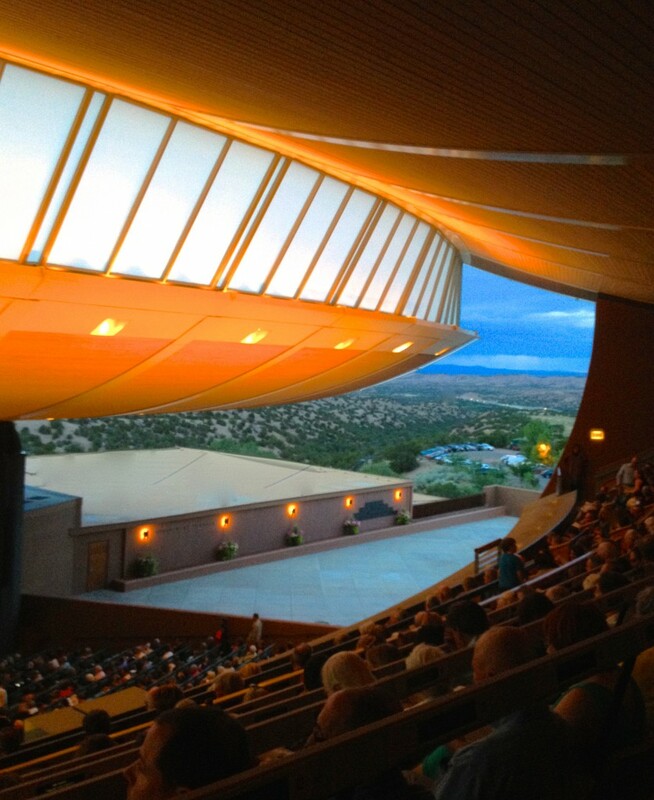 Evviva!’ in Act Three markedly raised the dramatic temperature of the scene. Mistakes are virtually inevitable in live performances and are an integral component of the excitement of opera, but the paucity of flaws in this performance, remarkable in a work as complex as Otello, was evidence of meticulous rehearsal that deprived the drama of none of its potent immediacy. This was neither a passive nor a routine traversal of the score: lofted by Verdi’s music, the spirit of Shakespeare’s tragedy filled Symphony Hall even when none of the principals was singing. A much-discussed zenith of the 2017 Aspen Music Festival was a performance of Hector Berlioz’s La damnation de Faust in which ASO’s Music Director Robert Spano confirmed his credentials as one of today’s conductors most skilled at fully unleashing the dramatic potential of a theatrical score in a concert setting. The intelligence apparent in Spano’s conducting of La damnation de Faust inhabited every aspect of his leadership of this performance of Otello. Conducting a work like Otello requires far more than setting tempi and managing ensembles: Verdi’s music demands the presence of a tactician, not merely a timekeeper. In Spano, Otello had a musical strategist worthy of the legacy of his Atlanta predecessor Robert Shaw. The internal logic of Spano’s shaping of the public scenes recalled Toscanini’s pacing of the 1947 NBC Symphony broadcast performance, and the intimacy of the private moments among characters was achieved with conversational directness rather than exaggeration. By closely following Verdi’s indicated tempi and dynamics, Spano revealed the score’s still-fascinating novelty. Under his baton, Iago’s menace resounded in the orchestra, and passages of repose trembled with Desdemona’s innocence and Otello’s suspicion. Most impressively, Spano conducted each of Otello’s four acts with understanding of both its unique needs and its place in the opera’s broader structure. Eliminating the task of coordinating podium, pit, and stage in a fully-staged production makes Otello slightly less daunting—but only very slightly. Spano presided over a performance of Otello in which, without costumes and scenery, the drama sprang to life in the listener’s imagination. Few studio recordings and even fewer staged productions of Otello have benefited from casting as uniformly strong as that of ASO’s performance. As the Araldo in Act Three, bass Sean Mayer voiced ‘La vedetta del porto ha segnalato’ commandingly, compellingly establishing the atmosphere for the scenes that followed. Baritone Norman Garrett enunciated Montano’s ‘È l’alato Leon!’ and ‘Capitano, v’attende la fazione ai baluardi’ in Act One and the character’s critical interjections in Act Four with conviction and steady, muscular tone. To Lodovico’s ‘Il Doge ed il Senato salutano l’eroe trionfatore di Cipro’ in Act Three and febrile lines in Act Four bass Arthur Woodley brought rugged musical solidity and dramatic commitment. Tenor Miles Mykkanen was a Roderigo who was noteworthy for the right reasons, foremost among which was the vocal opulence epitomized by his singing of ‘Il rostro piomba su quello scoglio!’ in Act One. The young tenor’s voice moved through Roderigo’s music with assurance and lent the duplicitous character a reptilian but engagingly virile charisma. Though her lines are comparatively few, Emilia is considerably more important to Otello’s plot than a conventional operatic confidante like Ines in Il trovatore. Mezzo-soprano Kathryn Leemhuis portrayed Emilia with sincerity, ably conveying both the lady’s concern and compassion for Desdemona and her increasing fear of her husband Iago and his manipulation. In the expansive ensemble at the core of Act Two, Leemhuis sang ‘Il tuo nefando livor m’è noto’ handsomely and with clear comprehension of Emilia’s pivotal if involuntary rôle in the fatal trap being laid by Iago. Her vocalism again shone in ensemble in Act Three, the singer’s clear diction deepening her characterization. Leemhuis’s Emilia matured as a dramatic entity in Act Four, her query of ‘Era più calmo?’ already bearing the weight of impending tragedy. Responding to the sounds of Desdemona’s struggle with Otello, this Emilia quickly subdued panic in a desperate effort to rescue her mistress from unjust accusation and retribution. Denouncing her own husband’s maleficent handiwork, she uttered ‘Iago, smentisci quel vile assassino’ with disgust, and her voicing of ‘Costui dalla mia man quel fazzoletto svelse a viva forza’ throbbed with sadness and anger. Emilia can easily be marginalized by the powerhouse confrontations of Desdemona, Otello, and Iago, but Leemhuis’s Emilia was a woman who would not be sidelined despite moments in which her best efforts at projecting her lovely tones into the auditorium fell victim to the orchestral din. As Cassio, the unwitting pawn in Iago’s relentless pursuit of fatal checkmate against Otello, tenor Ben Bliss sang appealingly, lending the character legitimacy as a potential suitor for Desdemona. Performances often fail to recognize that, in order to be a meaningful cog in Iago’s cruel machinations, Cassio must be accepted by both Otello and audiences as a viable rival for Desdemona’s love: unless the rôle is sung as romantically as Bliss sang it in this performance, Cassio can seem like a shallow, rather stupid boy in a very dangerous man’s world. Bliss’s Cassio was an eager narrator in the opera’s opening pages, relaying ‘Or la folgor lo svela’ and ‘Essa infiora questo lido’ with a troubadour’s communicativeness. Cassio’s combustive temper began to simmer in the tenor’s heated articulation of ‘Questa del pampino verace manna,’ contrasting tellingly with his dulcetly-phrased ‘Come un armonico liuto oscillo.’ Bliss effortlessly braved the repeated top As, his upper register hearteningly unforced. In the scene with Iago at the start of Act Two, this Cassio acquiesced all too willingly to Iago’s suggestion that he seek Desdemona’s intercession in reversing his demotion. In Act Three, the singer’s accounts of ‘Questo nome d’onor suona ancor vano per me’ and ‘Miracolo vago dell’aspo e dell’ago’ were both nuanced and tonally mellifluous, and Bliss sang Cassio’s lines in Act Four with urgency and horror. In Otello’s 130-year performance history, a number of eminent lyric tenors have sung Cassio in the early years of their careers. His sterling performance in ASO’s Otello promised that Bliss with continue the tradition of Anton Dermota, Giuseppe Zampieri, John Alexander, and Giuliano Ciannella. Iago is one of the most irredeemably evil figures in any of Shakespeare’s plays, and Verdi set his scheming to music that exudes inimical bravado. An Iago must choose whether he will be insinuating, openly hostile, or some combination of these traits, with the most imaginative of Iagos finding a balance between baseness and charm. Freed in ASO’s concert presentation from the necessity of projecting Iago’s motivations to the last row of an opera house, Panama-born baritone Nmon Ford focused on mining the riches in Verdi’s music, and his success was sensational. That a genuine Verdi baritone is one of opera’s most elusive creatures is an observation that few operaphiles who love Verdi’s music will dispute, but Ford’s credentials in rôles ranging from Nabucco to Rodrigo in Don Carlo qualify him as a viable candidate for that rare distinction. His Iago in ASO’s Otello thrilled with vocal authority and dramatic instinct, displaying the legitimacy of the singer’s assumption of Verdi repertory. A viper is slain upon sight unless he arrays himself in comeliness that belies his venom, and Ford’s Iago slithered into striking distance of Otello by feigning absolute honesty and reliability. Asserting his presence in Act One, Ford sang ‘È infranto l’artimon!’ and ‘Suvvia, fa senno, aspetta l’opra del tempo’ suggestively, cloaking Iago’s agenda in uncomplicated amicability. His sly ‘Ei favella già con troppo bollor’ was followed by understated but unmistakably meaningful accounts of ‘Inaffia l’ugola!’ and ‘Chi all’esca ha morso,’ his easy trill and soaring top As further verifying his suitability for this rôle. The true spectrum of Iago’s depravity began to show in Ford’s singing of ‘Non ti crucciar’ and the exchange with Cassio at the beginning of Act Two. The difficult triplets and high tessitura of ‘Credo in un Dio crudel’ were handily conquered by Ford, directing the listener’s attention to his pointed recitation of the text. The baritone’s ‘Ciò m’accora’ at the start of the scene with Otello was the turning point in his portrayal of Iago: here, certain destruction of his enemy came into view, and the transition from planning to execution was palpable in Ford’s performance. He sang ‘Cassio, nel primi dì del vostro amor’ with the requisite persuasiveness but mostly eschewed the unmusical snarling that many Iagos deploy in this scene. ‘È un’idra fosca’ bristled with hatred, the trill an eruption of loathing. In the ensuing ensemble, this Iago growled ‘Dammi quel vel!’ to Emilia with imperiousness that could not be refused. The self-satisfaction of his ‘Con questi fili tramerò la prova del peccato d’amor’ was staggering, and Ford sang both ‘Pace, signor’ to the raging Otello and ‘Divina grazia difendimi!’ with mocking smugness. Iago’s Andantino invention of Cassio’s dream, ‘Era la notte, Cassio dormia,’ and the caustic ‘Non v’alzate ancor!’ were intoned with deceptive grace. Thanks in no small part to Ford’s bold singing, the performance of the duet with Otello at the end of Act Two was rewarded with a standing ovation at the interval. Luring first Cassio and then Otello headlong into his snare at the start of Act Three, Ford’s Iago delighted in the effectiveness of his wiles. After singing ‘Questa è una ragna dove il tuo cuor casca’ with unbridled viciousness, he fired the sadistic cry of ‘Ecco il Leone!’ into the auditorium like a missile armed with an emotional warhead: its detonation reduced Otello’s and Desdemona’s lives to rubble. Iago’s contributions to Act Four consist only of a fleeting chance for gloating, a brief denial of his wrongdoing, and flight, but Ford made even those moments count, running from the stage with a demonic smirk. His was as fully-acted an Iago as might be found in any staged production, but, more importantly, his was a fully-sung Iago, as well. Had Verdi wanted Iago’s villainy enacted in pitchless ranting, he would have written the rôle accordingly, but he wrote music for the character, a fact obscured by some performances of the part. Ford’s portrayal was a welcome reminder of how exhilarating Iago’s music can when it is sung as the score dictates—and as well as Ford sang it. In recent years, the links among the bel canto of Verdi’s youth and his Shakespearean heroines in Otello and Falstaff have largely been severed, but hearing very different Desdemonas of past generations—Rosanna Carteri, Montserrat Caballé, Renata Scotto, and Dame Joan Sutherland, for instance—reminds listeners that the distance from Verdi’s early, bel canto heroines to Desdemona is shorter than it might superficially seem to be. In Carteri’s Desdemona, there are elements of Adina’s inherent goodness in L’elisir d’amore; in Caballé’s, reminiscences of Elisabetta’s foreboding in Roberto Devereux; in Scotto’s, hints of Lucia’s girlish innocence; and in Sutherland’s, echoes of the wronged wife in Bellini’s Beatrice di Tenda. It is not insignificant that soprano Mary Elizabeth Williams, Atlanta’s Desdemona, was the stylish Elisabetta in Seattle Opera’s 2016 production of Donizetti’s Maria Stuarda. Desdemona’s music possesses none of Elisabetta’s fiery bravura writing, but the English queen is in some ways as much a victim of her circumstances as Desdemona is condemned to be. Resplendently beautiful in a shimmering gown, Williams’s Desdemona was an angelic vision, a figure of feminine grace and purity out of her element in Otello’s gritty, bellicose world. Greeting Otello in Act One with a radiant ‘Mio superbo guerrier!’ in which Verdi’s ‘sempre dolce’ marking was meticulously heeded, Williams placed the top A♭ with delicacy and certain intonation. In the love duet, she sang exquisitely, phrasing with romantic feeling and maintaining a hypnotic aura of nocturnal ecstasy. Williams answered the serenade that Desdemona received from the chorus in Act Two with a beguiling ‘Splende il cielo, danza l’aura’ that began an extended musical paragraph punctuated by a golden top B. Asking Otello to restore Cassio’s rank and good standing, Williams’s Desdemona voiced ‘D’un uom che geme sotto il tuo disdegno la preghiera ti porto’ with mesmerizing simplicity, making the emotional shifts of ‘Perchè torbida suona la voce tua?’ and ‘Se inconscia, contro te, sposo, ho peccato’ all the more moving, the singer’s well-supported lower register providing a sonorous foundation for her dolcissimo top ♭. Williams rose magnificently to the challenges of Act Three, depicting Desdemona as a woman for whom the loss of dignity is as much death as the loss of life. She caressed the words of ‘Dio ti giocondi, o sposo dell’alma mia sovrano’ and ‘Tu di me ti fai gioco,’ seeking beyond his slashing anger and bitterness the familiar devotion and tenderness of her beloved husband. The soprano’s top C was an impassioned peal of anguish. Williams sang ‘E un di sul mio sorriso fioria la speme e il bacio’ eloquently, descending from the pair of top C♭s with irreproachable musicality. From her first pained utterance of ‘Mi parea,’ it was clear that this Desdemona sensed and even welcomed the approach of death in Act Four. Williams performed the widely-known Canzon del Salice with vocal control that recalled Teresa Żylis-Gara’s singing of the music, the consonants of ‘Piangea cantando nell’erma landa’ used to propel the line. Williams was the rare Desdemona who sounded as though her sympathy was genuine when she sighed ‘Povera Barbara!’ The sudden deluge of her ‘Ah! Emilia, Emilia, addio,’ a passage not unlike Violetta’s ‘Amami, Alfredo’ in Act Two of La traviata, was heartbreaking. 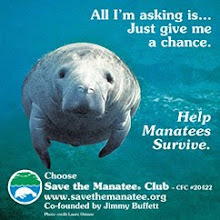 She proceeded cautiously through the succession of Es at the bottom of the stave with which Desdemona begins ‘Ave Maria, piena di grazia,’ generally avoiding chest register here and elsewhere, and the dividend was a serene top A ♭. Her ‘Chi è là?’ as Otello figuratively crept into her chamber was a rhetorical question: the character Williams created knew who was there and why he had come. There was vehemence but no rancor in this Desdemona’s final protestation of her innocence. Resigned to death at the hands of the man she loved, there was still adoration in her voice when she absolved Otello of responsibility for her murder. The sensuality in Williams’s portrayal gave Desdemona added psychological depth, rendering her a woman who chose to die in preservation of her blamelessness rather than a hapless victim. Like Ford’s Iago, though, it was the quality of Williams’s vocalism, utterly right for the music, that made her Desdemona memorable. Paralleling the singular significance of Shakespeare’s titular moor of Venice in Elizabethan theatre, the title rôle in Verdi’s Otello is virtually sui generis in Italian opera. The name part in Boito’s seldom-performed Nerone and Puccini’s Johnson and Calàf are similarly daunting assignments for tenors, but Otello is his own game. 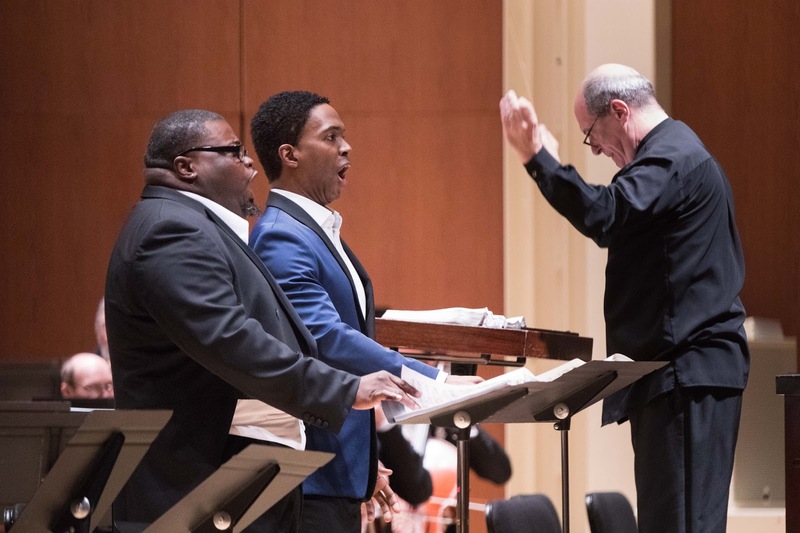 With this performance, Atlanta resident Russell Thomas added this epic rôle to his repertory, expanding an already remarkable versatility that extends from the Verdi and Puccini canons to the title rôle in Mozart’s La clemenza di Tito, wearing whose crown he débuted at the 2017 Salzburger Festspiele. Having successfully sung other Verdi tenor rôles does not necessarily qualify a singer to take on Otello [hearing Thomas as Malcolm in Adrian Noble’s production of Verdi’s Macbeth at the Metropolitan Opera in 2007 caused this listener to think him qualified to sing virtually any rôle he chooses to learn], but Thomas is a shrewd artist who makes repertory decisions based upon aptitude and readiness. That he was ready to sing Otello was declared emphatically by this performance. The singer who approaches the progression of top G♯s, As, and B in Otello’s punishingly declamatory entrance music, ‘Esultate! L’orgoglio musulmano sepolto è in mar,’ without some degree of trepidation is either worryingly over-confident or the reincarnation of Leo Slezak. Tamagno, Martinelli, Vinay, and Vickers cannot have sung their first Otellos without anxiety, but whatever nerves Thomas felt were calmed by his obvious comfort with the music. The appearance of effortlessness that characterized Mario del Monaco’s singing of Otello’s entrance was revived in Thomas’s performance. Throughout the evening, his singing was notable for its blend of unaffected lyricism and stunning natural power. Returning to halt the tumult instigated by Iago, Thomas hurled ‘Abbasso le spade!’ into the fracas. Otello’s disappointment glowed in the tenor’s voicing of ‘Cassio, come obliasti te stesso a tal segno?’ Some Otellos are brutes who seem incapable of the lightness of touch necessary to win the heart of a woman like Desdemona, but Thomas’s Otello wooed Williams’s Desdemona anew in their blissful singing of ‘Già nella notte densa s’estingue ogni clamor.’ His gossamer top A ♭ and sotto voce singing were amorous weapons in this martial but sensitive Otello’s arsenal. In the Act Two scene in which Iago planted the seeds that eventually germinated into a noxious weed of despair and death, Thomas voiced ‘Pel cielo, tu sei l’eco dei detti miei’ grandiloquently, the top B ringing out rousingly. Then, approached by his doting bride, his exclamations of ‘Non ora’ in response to her arguments on Cassio’s behalf were stinging—and more effective for being sung rather than shouted. The cruelty of his commands of ‘Mi lascia!’ seemed to wound this Otello as greatly as they hurt and confused Desdemona, and Thomas phrased ‘Forse perchè gl’inganni d’arguto amor non tendo’ with wrenching doubt and distress. Trading top B♭s with Williams, he dominated the ensemble. With the two words ‘Desdemona rea!’ the demeanor of Thomas’s Otello metamorphosed from vulnerability to an obsessive quest for vengeance. The zeal of his singing of ‘Ora e per sempre addio sante memorie’ was invigorating, and he and Ford collaborated in an account of ‘Sì, pel ciel marmoreo giuro!’ that satisfied as both great Verdi singing and riveting theatre. In Act Three, Thomas’s portrayal of Otello was a keen case study of a deceived man whose bullying was born of insecurity. The mercilessness of his denunciation of Desdemona was startling, especially as it was so handsomely vocalized. Both ‘Grazie, madonna, datemi la vostra eburnea mano’ and ‘Giura e ti danna! were delivered with unstinting intensity that spilled over into Thomas’s tormented, stimulating ‘Dio! mi potevi scagliar tutti i mali della miseria.’ This performance of Otello’s despondent soliloquy, distinguished by one of the most dependable top Cs heard in this music since the death of Franco Bonisolli, was worthy of Shakespeare. There was a sickening delight in Thomas’s singing of ‘Questa giustizia tua mi piace,’ and his irascible ‘Fuggirmi io sol non so!’ left no doubt of the character’s resolve to kill his wife. Otello’s predatory entrance in Act Four could hardly be more different from the stentorian trumpeting of his introduction in Act One, and Thomas further highlighted the disparity by suffusing his singing of Otello’s first lines in Act Four with maniacal determination. He brought an eery tranquility to ‘Diceste questa sera le vostre preci?’ and ‘Pensa ai tuoi peccati,’ invoking an honest concern for the sanctity of Desdemona’s soul. The divergent sentiments of ‘Bada allo spergiuro’ and the haunting ‘Calma come la tomba’ drew from Thomas singing of heightened textual specificity. ‘E il ciel non ha più fulmini?’ was sung with greater finesse than many Otellos can or care to manage, particularly on the rise to top A. Here voiced with superb legato, the similarities between Otello’s ‘Niun mi tema s’anco armato mi vede’ and Edgardo’s final scene in Donizetti’s Lucia di Lammermoor were unusually discernible. Revisiting the words and music of the love duet in Act One, Thomas sighed ‘Un bacio ancora’ with a voice drained of life. Dramatically, experience in the rôle in staged productions will undoubtedly refine Thomas’s interpretation of Otello, but his inaugural effort impressively transcended its setting, offering the audience a noble characterization that allowed the listener to forget the formal attire, score, and music stand. Musically, Thomas needs only to sing the rôle as he sang it in this performance to be remembered as one of history’s great Otellos. Otello is an opera that is not always successful in concert, and some of its pitfalls were not entirely circumvented in ASO’s performance. Soloists’ voices suffer less when battling an orchestra in a pit and an opera company’s smaller chorus, for instance, and staging can elucidate the workings of Iago’s cunning. There were passing moments in this performance in which its Otello’s aural impact was marginally diminished, but Otello’s dramatic might was never lessened. All of the advantages of performing Grand Opera in concert were achieved in this Otello, however. The sole priority of the performance was faithful service to Verdi’s genius, and that service was rendered on a monumental scale. Thank you, Verdi, for sacrificing years of your well-earned retirement to the composition of a score that inspired—and deserves—a performance such as this. By December 1771, Salzburg was distinguished by a flourishing musical society that, in addition to the fifteen-year-old Mozart, his father, and his twenty-year-old sister, included Johann Michael Haydn, younger—and artistically worthy—brother of the famous Franz Joseph Haydn. Published in the year of Wolfgang’s birth, the elder Mozart’s tome on violin technique, still an invaluable source of information for scholars of historically-accurate performance practices, had advanced acknowledgement of Leopold’s standing as a master of the instrument throughout Europe. It was in this setting that the adolescent Mozart’s Il sogno di Scipione sprang to life. Planned as an homage to the reign of Prince-Archbishop Sigismund von Schrattenbach, an enlightened patron friendly to the Mozarts, performance of the azione teatrale was hindered by the Prince-Archbishop’s untimely death. As history recounts, the younger Mozart’s professional relationship with von Schrattenbach’s successor to the archiepiscopal throne, Hieronymus von Colloredo, was anything but cordial, but it began with a celebratory performance of a brief excerpt from Il sogno di Scipione that concluded with an adaptation of Licenza’s aria specially revised to flatter the new Prince-Archbishop—an auspicious inauguration of what proved to be a contentious association. Ultimately, Il sogno di Scipione is not known to have been performed in the form in which Mozart originally set Pietro Metastasio’s libretto until 1979, in which year it was staged in the city for which it was written with a cast who also recorded the score in studio. Featuring an ensemble of renowned Mozarteans including Peter Schreier, Lucia Popp, Edita Gruberová, and Edith Mathis under the direction of Leopold Hager, Scipione’s first recorded outing remains an enjoyable performance that plausibly conjures the musical environment of Eighteenth-Century Salzburg. This new recording from Signum Classics, masterfully produced and engineered by Andrew Mellor, writes an engaging new chapter in Il sogno di Scipione’s history with a cast of singers competitive with the finest Mozarteans of previous generations and music making of timeless excellence. Classical Opera’s founder and Artistic Director Ian Page again proves as skilled and sagacious an interpreter of Mozart’s music as the first seventeen years of the Twenty-First Century have seen—as Leopold Mozart might have surmised, a musical talent gifted by providence to the new millennium. Page’s leadership of this recording exhibits the crucial understanding that Il sogno di Scipione is neither a conventional Classical opera seria like Mysliveček’s Il gran Tamerlano, a direct contemporary of Scipione, nor a seminal work of the significance of Don Giovanni and Così fan tutte. 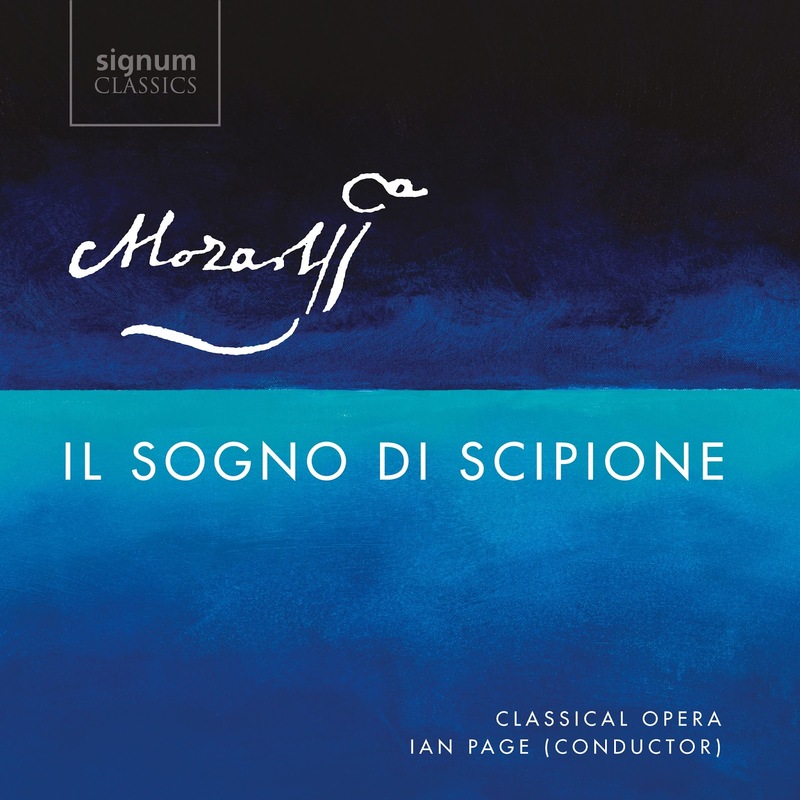 Il sogno di Scipione is an important step in Mozart’s development as a composer of secular vocal music and an enjoyable, often sophisticated work in its own right, however, and Page’s management of this performance of the score allows the listener to hear the music as Mozart would have expected it to sound. 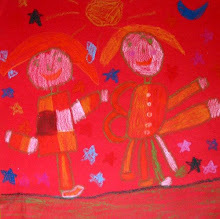 Serious artist though he was from an astonishingly young age, irreverence was a vital aspect of Mozart’s character, and not even his most solemn music lacks joy. Page’s conducting, the choristers’ vibrant singing of ‘Germe di cento eroi’ and ‘Cento volte con lieto sembiante,’ and the orchestra’s flawlessly-articulated playing exude not only the humor that Mozart wove into the score but an unmistakable elation at the opportunity to recreate this invigorating work. Whether their instruments are voices, violins, or batons, too many artists seemingly fail to appreciate that performing on stage or in studio is a privilege. Page and Classical Opera do not take for granted that Il sogno di Scipione is a piece that modern listeners want to hear: rather, they offer today’s listeners a performance of Il sogno di Scipione that must be heard, both by lovers of Mozart’s music and by those who simply enjoy splendid performances of good music. The top calibre of the vocal talent assembled for this recorded performance of Il sogno di Scipione is apparent in every bar of secco recitative, enlivened in this performance by the continuo playing of harpsichordist Christopher Bucknall, cellist Luise Buchberger, and double bassist Cecelia Bruggemeyer. Traversing Mozart’s musical paths under the guidance of Page and the continuo, the singers make the recitatives genuine conversations among the work’s historical and allegorical characters. To both the revision of Licenza’s aria ‘Ah, perchè cercar degg’io’ that was likely performed in celebration of the 1772 coronation of Prince-Archbishop von Colloredo and the original, more elaborate version of the aria soprano Chiara Skerath brings technical accomplishment worthy of the music and ably-projected, appealing tone. Her account of the aria and its introductory recitative constitutes a true narrative. Similarly, tenors Robert Murray and Krystian Adam sing superbly as Emilio and Publio. Murray delivers Emilio’s aria ‘Voi colaggiù ridete’ with virtuosity and vigor, the stylistic panache and attractiveness of his vocalism recalling the Mozart singing of Léopold Simoneau. Adam’s performances of Publio’s demanding arias ‘Se vuoi che te raccolgano’ and ‘Quercia annosa su l’erte pendici’ impress with technical finesse and tonal focus that is unimpeded by Mozart’s divisions. As the dueling Fortuna and Costanza, sopranos Soraya Mafi and Klara Ek meet the challenges of their music with assurance and persuasiveness: weighing the merits of their competing cases would be a Herculean task for even the most savvy Scipione! Mafi delivers Fortuna’s aria ‘Lieve sono al par del vento’ with ideal vocal amplitude, conveying both the literal and figurative meanings of the text. The deftness of her bravura singing lends Fortuna credibility as the bringer of earthly pleasures, her vocalism always a pleasure to hear. Mafi’s interpretation of ‘A chi serena io miro’ is no less intelligent, and her silvery, dexterous vocalism is still finer. Ek offers a sparkling reading of Costanza’s ‘Ciglio che al sol si gira’ in which ornamentation—the composer’s and the soprano’s—serves a clearly-defined dramatic purpose. Like Mafi, Ek is even more effective in her character’s second aria. The unaffected brilliance of her singing of ‘Biancheggia in mar lo scoglio’ imparts the absolute sincerity of Costanza’s mission, depicted by Mozart with purity of form that is perceptible in Ek’s performance. Both singers occasionally venture higher in cadenzas than is wholly comfortable, but these risks are products of the ladies’ immersion in the arguments they are charged with presenting. Their voices are sufficiently contrasted to enable immediate identification, and two instruments could hardly have been better matched for these rôles, in the casting of which Mozart would surely have wanted equals like Faustina Bordoni and Francesca Cuzzoni or Giulia Grisi and Giuditta Pasta. History does not permit certainty about the identities of the singers by whom Mozart may have intended Fortuna and Costanza to have been sung, but he could not have failed to have been pleased by Mafi and Ek. Tenor Stuart Jackson was the excellent Soliman in Classical Opera’s standard-setting recording of Mozart’s Zaide, and he is here a fantastic interpreter of the title rôle in Il sogno di Scipione. Such are the difficulties of the consul’s music that his dream can easily become a nightmare for listeners, but Jackson sings so ably, adroitly, and affably that this Sogno is a consistent delight. In Scipione’s first aria, ‘Risolver non osa,’ Jackson makes the character’s indecision and ambivalence palpable, his unflinching negotiation of the fiorature suggesting the rapid-fire interplay of ideas in Scipione’s mind. Then, he delivers ‘Dì’ che sei l’arbitra del mondo intero’ with an apparent sense of a responsible ruler’s integrity. Complementing his soft-grained timbre with a lightness of touch that lends his portrayal of Scipione a vein of tenderness and vulnerability, the tenor sings sweetly even when taxed by Mozart’s vocal gymnastics. In his intrepid ascents into the vocal stratosphere at and beyond top C, Jackson perpetuates the tradition of haute-contre singing prevalent in the latter half of the Eighteenth Century, producing the highest notes with a handsomely-wielded voix mixte. In its wonderful way, Jackson’s Scipione is as memorable as Ernst Haefliger’s Belmonte, Stuart Burrows’s Don Ottavio, and Fritz Wunderlich’s Tamino; in other words, Mozart singing of the highest quality. Not every note committed to parchment by Mozart bears the unmistakable mark of genius, but his least-inspired music possesses a level of craftsmanship superior to that of the efforts of all but the most talented of his contemporaries. What, in part, makes Ian Page’s and Classical Opera’s performances and recordings of Mozart’s pre-Idomeneo theatrical works invaluable is the avoidance of well-meaning but ill-advised endeavors to inflate the music’s importance. Left to its own devices, genius reveals itself without meddlesome provocation, and this is a performance of Il sogno di Scipione in which the budding genius of the score’s adolescent composer is all the more evident for being celebrated without exaggeration. The equilibrium that was so prized an aspect of Classicism, both in antiquity and in Eighteenth-Century music, but is so often missing in today’s opera performances is the hallmark of this Sogno di Scipione and of Classical Opera’s work in general. That, dear Juliet, is what’s in this name.